I really love the fascinater .we are renewin our wedding vows on our golden wedding day and this fascinater is just what i wanted to match my outfit and a good price . 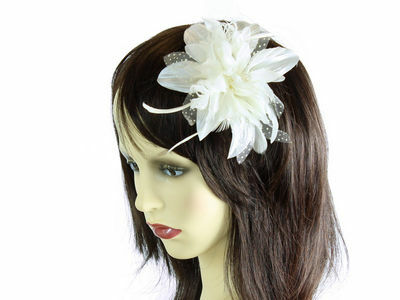 A soft and delicate flower fascinator which is very pretty. It has a strong clip and sits nicely in any hairstyle.